Published: Jan. 13, 2018 at 08:47 p.m.
Tennessee Titans quarterback Marcus Mariota finds tight end Delanie Walker on corner route for 36 yards. 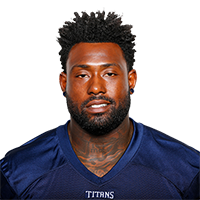 Published: Dec. 17, 2017 at 05:59 p.m.
Tennessee Titans tight end Delanie Walker redeems himself with touchdown before the half. Published: Dec. 3, 2017 at 03:40 p.m. Published: Nov. 26, 2017 at 04:03 p.m.
Tennessee titans quarterback Marcus Mariota throws to tight end Delanie Walker for a 37-yard completion.